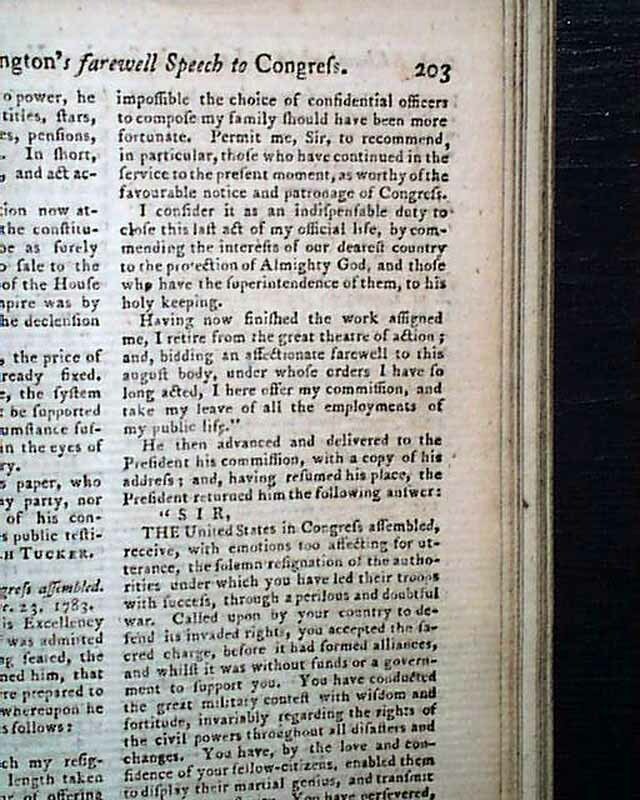 Item # 653284 THE GENTLEMAN'S MAGAZINE London, March, 1784 A very historic issue as it contains the complete text of George Washington's Farewell Address to Congress, officially resigning his commission as commander in chief of the Continental Army. 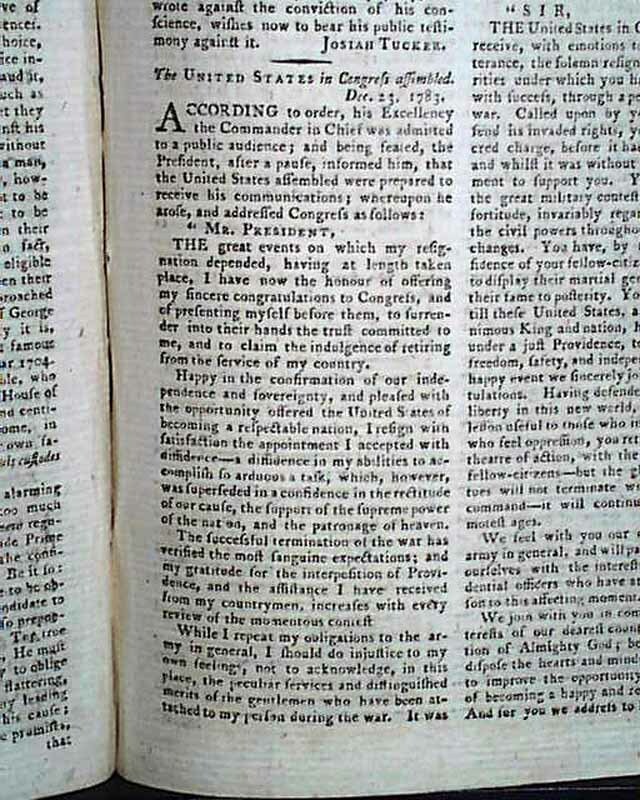 Headed: "The United States in Congress Assembled, Dec. 23, 1783" it has a prefacing paragraph which includes: "According to order, his Excellency the Commander in Chief was admitted to a public audience; & being seated, the President, after a pause, informed him that the United States assembled were prepared to receive his communications; whereupon he arose, and addressed Congress as follows:..." and what follows is Washington's farewell address. 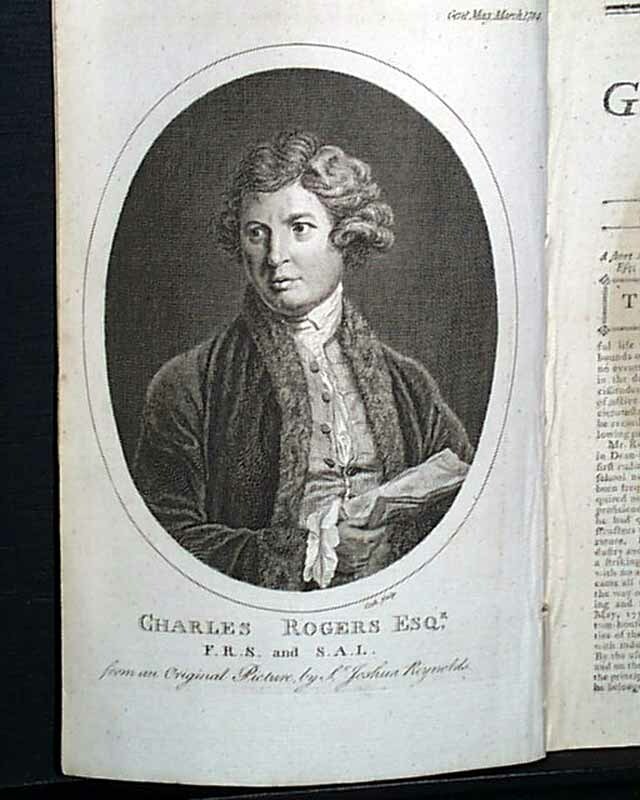 Near its end is: "...Having now finished the work assigned me, I retire from the great theatre of action; and, bidding an affectionate farewell to this august body...I here offer my commission and take my leave of all the employments of my public life." (see). 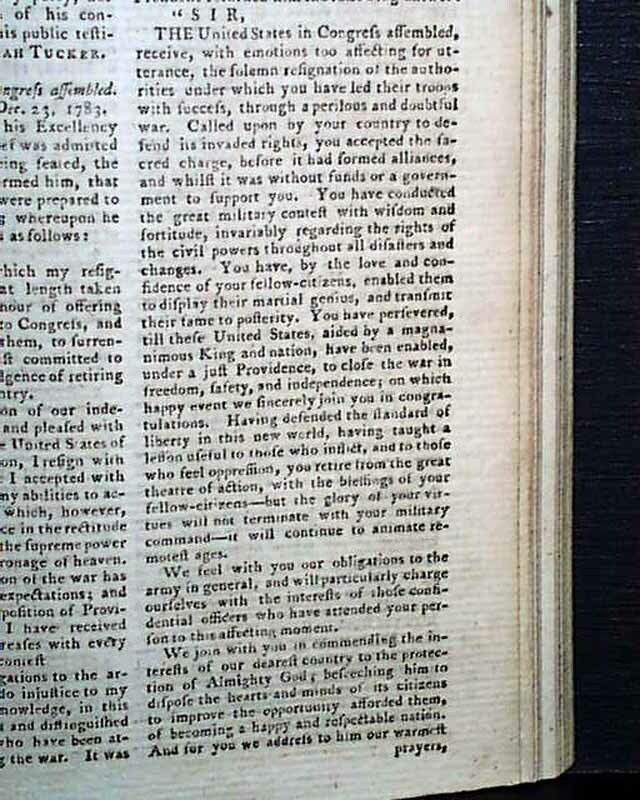 This is then followed by the response of Congress, signed in type by its Secretary, Charles Thompson. 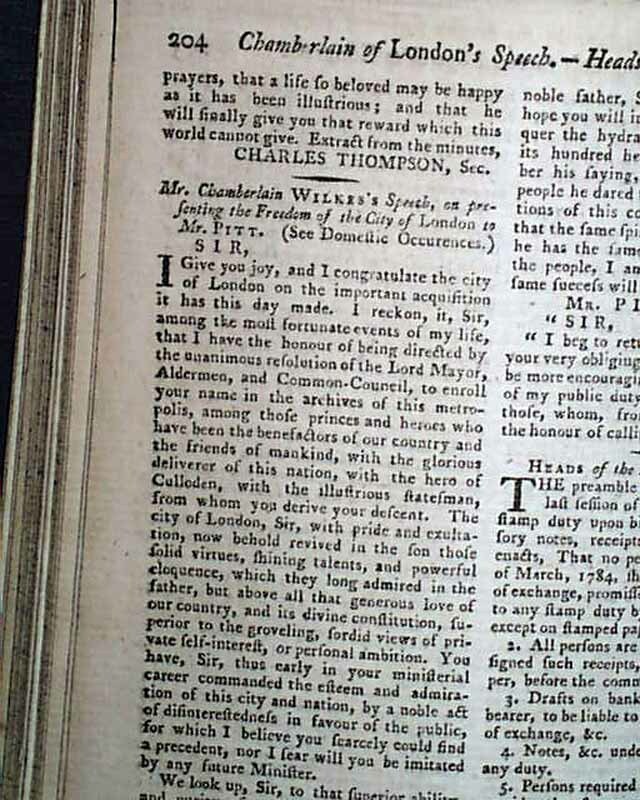 It's significant to have this historic document in a British publication. 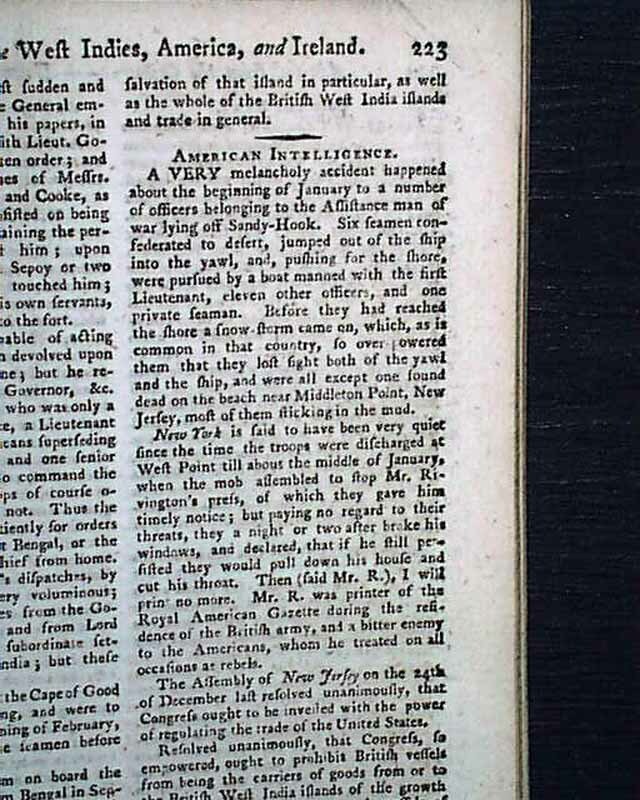 Much other content in this issue as well, including an extensive: "List of Plates from Paintings by Sir Joshua Reynolds", much on "Proceedings in the Present Session of Parliament" taking several pages, and near the back "Foreign Advices" with news from throughout Europe, and also: "American Intelligence". 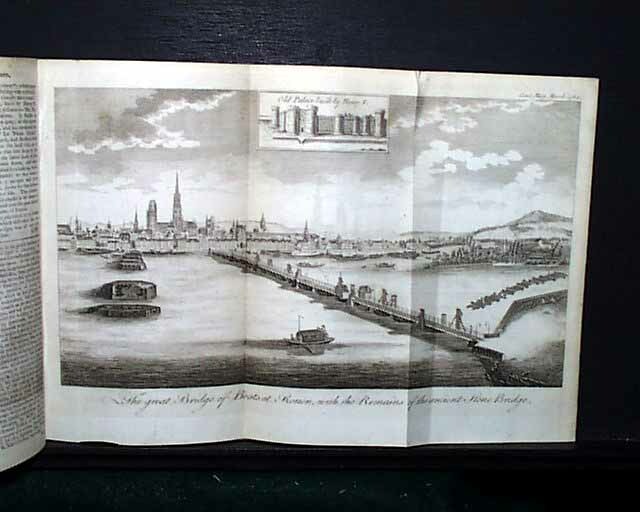 Both plates called for are present, one a very nice foldout print of the city of Rouen, France. 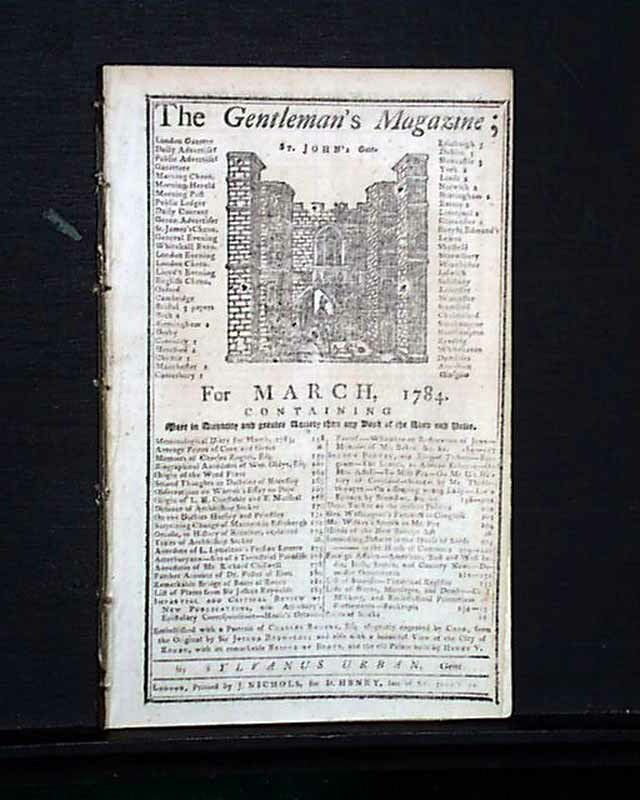 Complete in 84 pages with a full title/contents page featuring an engraving of St. John's Gate, 5 1/4 by 8 1/4 inches, great condition.